Here are links to the pages for all of my books, primarily astrophotography books, just click on the cover image for more information. Getting Started: Long Exposure Astrophotography: A primer and a fully-formed, practical format for entering the world of long exposure astrophotography, Allan Hall’s Getting Started: Long Exposure astrophotography brings the rewarding pursuit of stellar imaging to your bedside table. With academic flare and his signature approachability, Hall utilizes a suite of formats to provide readers with everything they need to begin – and develop. 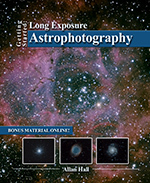 From charts, images, purchasing guides, walkthroughs and detailed descriptions, this Getting Started title is an in-depth resource for today’s astrophotographer at any level of their discipline. This is one of the best astrophotography books Amazon sells and covers the entire process of the art of astrophotography. 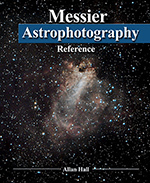 Messier Astrophotography Reference: Allan Hall’s Messier Astrophotography Reference takes the task of providing a detailed, practical, visual guide to the night sky’s Messier Objects – all 110 of them – seriously, but not without the author’s trademark approachability and goal of providing home-based astrophotographers at any experience level with the fundamental resources they need to shoot smart. 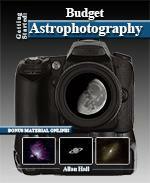 This is probably the most often purchased astrophotography books for people after they learn the basics. Getting Started: Budget Astrophotography: Allan Hall makes learning how to photograph the night sky easy with his new book Getting Started: Budget Astrophotography. In this guide, you will learn the fundamentals of astrophotography – what it is, how it’s done, and how to do it yourself. Getting Started: Budget Astrophotography is divided into these three sections in order to provide a comprehensive overview of the basics of deep sky astrophotography. 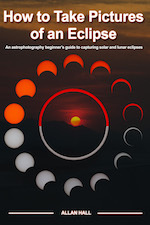 How to Take Pictures of an Eclipse – Do you want to learn how to take photographs of an exciting Solar or Lunar Eclipse? Do you have the right equipment for the job? Do you want to know ALL the tips and techniques needed to make this a success? This is also an excellent book to add to your collection of astrophotography books as few of them cover this specific type of astrophotography. 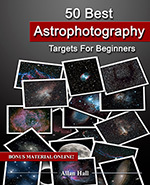 50 Best Astrophotography Targets for Beginners – Are you interested in astrophotography? Do you need good information on objects that can help you as a starting point? Taking images of objects that are millions of miles from Earth is about as complicated as it sounds and when you start out you will find it hard to target the right ones. Size, brightness and type are just a few of the more common considerations, but there are many more that relate to the type of equipment you have to hand and what the best tools for the job will be. This is not one of those introductory astrophotography books but instead is aimed at taking the beginning astrophotography and helping them image the best targets in the sky. More astrophotography books coming soon! Getting Started:Visual Astronomy focuses on beginner aspects of visual astronomy. 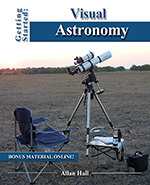 Allan Hall’s beginner’s guide covers all aspects of getting started with astronomy. 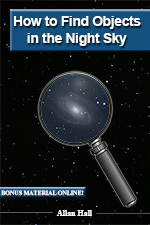 From learning about the universe to understanding what to observe, how, and when, this comprehensive guide will become a go-to tool for novice and amateur astronomers. Getting Started: Using an Equatorial Telescope Mount: When it comes to tracking celestial objects, more advanced telescopes will probably have an equatorial mount. Many midrange and high end telescopes are set on these mounts – and with good reason. For visual astronomers, the equatorial mount allows the greatest accuracy and tracking ability. An equatorial mount is also a prerequisite for anyone with ambition to seriously capture astronomical events and bodies via photography. They allow an astrophotographer to pass the most basic, primitive shots and begin to advance the pursuit into long exposure astrophotography. This is a great addition to other astrophotography books as it covers use of the mount used to hold and direct your astrophotography telescope in great detail. Choosing and Using a Dobsonian Telescope – Dobsonian telescopes are the most popular beginner telescope and first came to prominence in the 1960’s. They have provided many thousands of amateur sky-watchers with a low-cost, dependable telescope which allows them to see deep into the night skies. Excellent coverage for the use of the Dobsonian for visual astronomy is included. While not offering the specifics of most astrophotography books, it does help you understand what is required and what obstacles you may have to overcome should you want to try your hand at astrophotography with a Dobsonian. 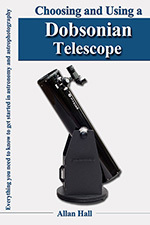 In this new book by Allan Hall, Choosing and Using a Dobsonian Telescope, you will find all the information you will need to make the most informed choice on your purchase and the best use of your telescope after the purchase. Do you have a hard time finding objects in the night sky? Have you purchased some astronomy and maybe some astrophotography books only to find that they really don’t teach you how to find things? Then this is the book for you! Assuming nothing, this book takes the absolute beginner and shows them how to find any object in the night sky using star hopping, altitude azimuth, and right ascension declination. Examples and walkthroughs are used to make sure you understnad the concepts. Don’t wander around frustrated at not being able to see anything! 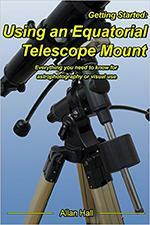 Get your copy today and start seeing amazing objects even with a beginner telescope! More astronomy books coming soon! 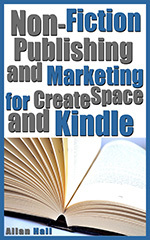 Getting Started: Non-Fiction Publishing and Marketing for CreateSpace and Kindle: So you’ve decided to write a book. Now you find yourself faced with the seemingly infinitely harder second step – actually bringing the idea to market. In today’s brave new world of self-publishing and open creative markets, it is both an inviting and potentially intimidating arena for authors hoping to turn their non-fiction books into a meaningful source of income. This is a daunting task because it involves a blend of several disciplines that aren’t necessarily part of an author’s quiver of arrows. Most crucial among these are marketing and digital publishing, each of which requires fluency in fields that authors may or may not have experience in. Let me take you through the steps I have used to make a successful career with my writing non-fiction such as my astrophotography books, and show you want it takes. 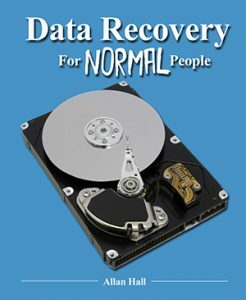 how data is lost, understanding data storage, recovering deleted or corrupted files, how to prevent future data losses, encryption and data destruction, and a whole lot more. 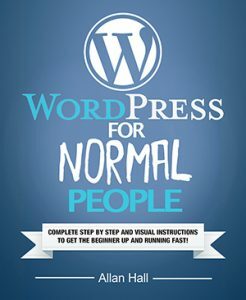 WordPress for Normal People aims to take you from not knowing what WordPress is, and only knowing what a website is from the end user’s point of view, then educating you all the way into being able to install, secure and maintain a fully interactive website by reading one single book. With an emphasis on the things you need for the website to work on a day to day basis, the focus is on simplicity for both the user and admin. Simple, effective, fast, and with as little interaction from the admin as possible are the goals. And WordPress for Normal People delivers! All works on this page by Allan Hall author. More information available on my Amazon Author page. Keep an eye on this page for new astrophotography books, and more!